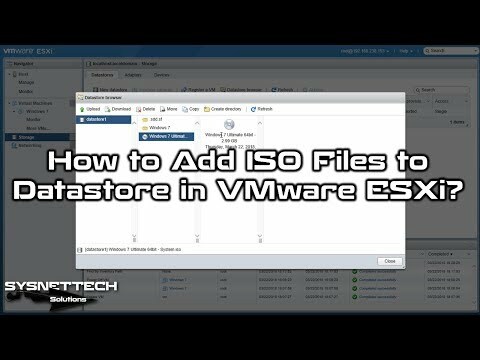 This video shows you how to upload ISO files to Datastore on vSphere 6.7U2 installed on VMware Workstation 14/15 Pro. Step 1: If you have not done vSphere installation before, please refer to the following video. Step 2: Create a new virtual machine on vSphere. Step 3: You need the ISO to install the virtual machine operating system you created on vSphere. To add ISO to the server, click on Storage. Step 4: After clicking Storage, click Datastore Browser. Step 5: After you open the Datastore Browser window, you can add the ISO files by clicking the Upload button.